I recently stumbled across some fabulous curtain panels at Walmart. The pattern was awesome and the colors were pretty great too! They were also inexpensive, which is always an added bonus! As I mentioned in my house related goals for 2014 post, I want to create a small office space somewhere on our main living level and out of the dingy basement! I've decided to turn our former dining room/playroom into our new home office space. I did a lot of purging and rearranging in the kid's rooms over the Christmas break. Now they have plenty of space for most of their toys in their rooms. We still have plenty of baskets and bins with toys throughout the house, so they don't have to keep everything in their rooms. In our new office space they will have their own area for crafting and creating as well, so it's not like I'm completely taking away their space! Anyway, back to my curtain story. My new curtains, while lovely, were a little short for my liking since I like to hang them up a little higher. For less than $14 per panel I just had to buy them, knowing I could tweak them to make them work. My solution to my high-water curtains was to add a little fabric to make them longer. Surprisingly, this project didn't take that long at all. I purchased 2 yards of cheap linen-like fabric and got to work. Here is what I started out with. See? High-water curtains! Lay the panel flat on the floor, and cut off the bottom. 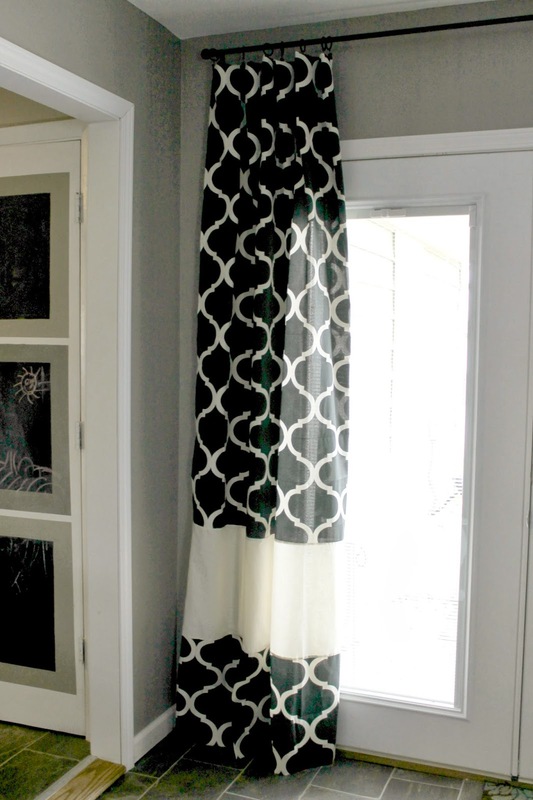 You can choose how far up the curtain you want to cut based on where you want the added fabric to go. I wanted mine to be closer to the bottom. Take the piece of curtain that you just cut off and use it as a guide to cut your fabric piece that you will be adding in. Remember to allow about 2 inches on each side so you can hem it. After you get your fabric cut it's time to turn the curtain so that the side you want to show is facing the side you want to show of the fabric. Always remember like sides to like sides when sewing things like this, and you can't mess up! Now, it's time to pin each side of the fabric piece so that it can be hemmed. Fold the sides in and use pins to secure. 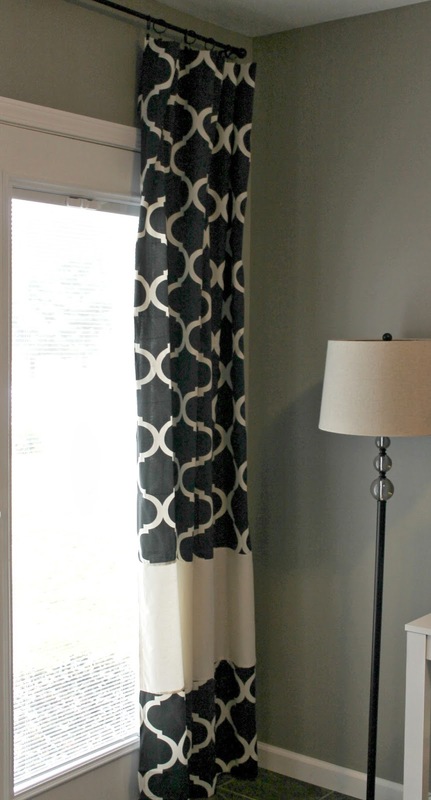 Use the curtain panel as your guide to get the correct width. See...like sides to like sides. Now it's time to hem the sides. I like to run two seams down each side with the sewing machine. Now that you have both sides of the fabric piece hemmed to the correct width, it's time to sew your piece into the curtain panel. 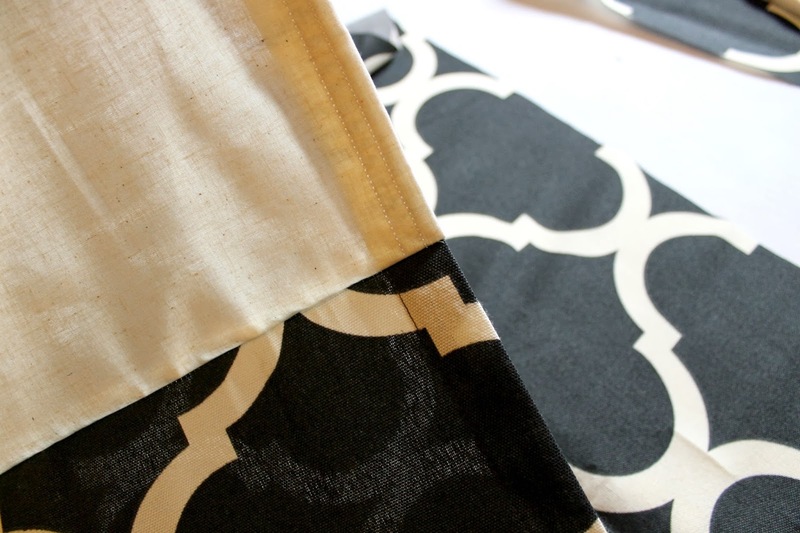 Begin by lining up your fabric piece with the piece of the curtain panel that you cut off, making sure they are facing each other. Like sides to like sides! Then pin along the edges where you will sew the two pieces together. Repeat steps 6 and 7 again to attach this piece to the upper part of the curtain panel, then you are done! I think they turned out pretty well and add a nice splash of sophistication! And, for less than $15 per panel they are a super cheap alternative to custom ones! Oh I have to add that when I first hung them up they were a little too long. I'm not one for measuring which is bad I know. To fix this, I simply folded the top of the curtain to make it a little shorter and used the curtain clips to hold it in place. This way if I need them to be longer one day they can be. Beautiful! This is such a great idea! 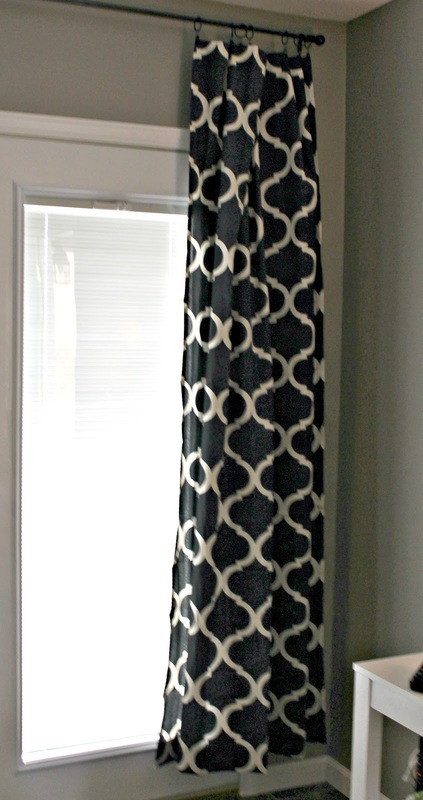 I LOVE those curtains and how you added the fabric to make them longer. I can't wait to see what you do with the rest of the room. Thank you Lori! So far I have my computer area set up in the new office space, but it's not looking very lovely yet. Still lots to do! I need to write an "in progress" post soon. Nice job! I wish more stores would get the message that people want longer length curtains. Try to find curtains to match a bedding set. They are usually only offered in 84" length. Looks great Leah!!! I'm doing the sane technique in my son's room as we speak! Thanks for the tutorial! Thank you :) I hope it is helpful! I can't wait to see your son's curtains! 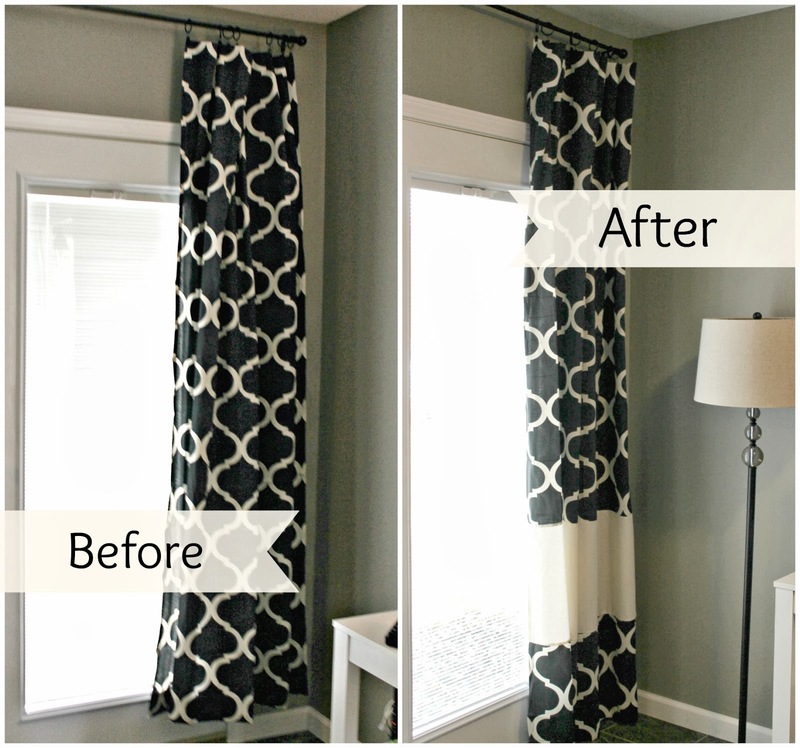 Your curtains, beside the desidred lenght, got a sophisticated and custom look with this alteration. I love how they turned out. Great job and great turorial Lea. 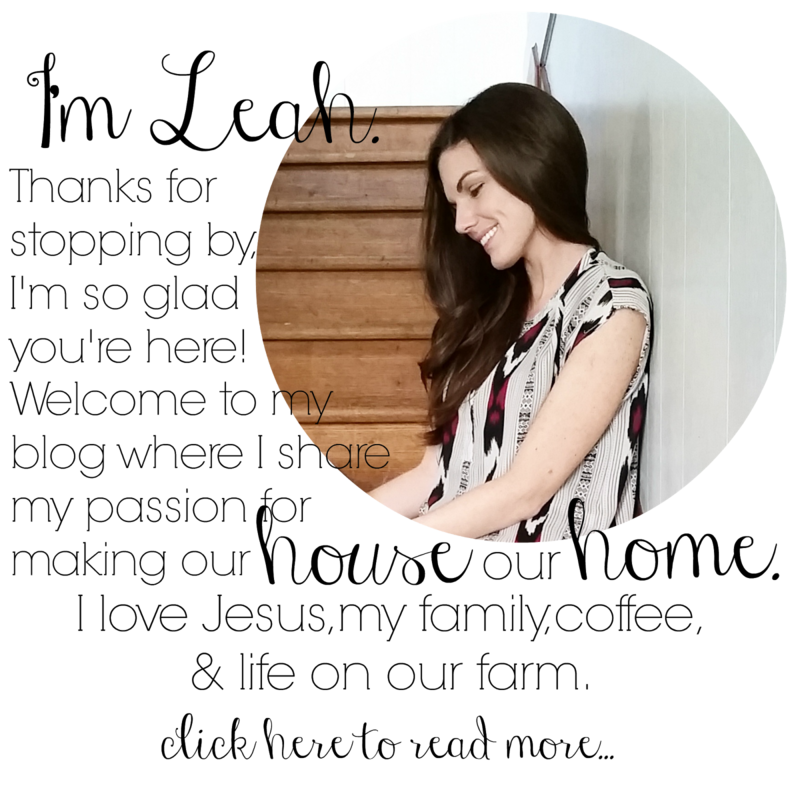 Thank you for visiting my blog and taking time to leave a comment. Where did you find your linen fabric that you used to add in? Hi Jase! The fabric was purchased at Walmart and unfortunately I haven't seen it there since!! I've checked several times recently, hopefully they will stock it again soon, or maybe they are just out in my store.